Giving birth ranks among the scariest moments for any mother. It certainly was for me. I was living in Hong Kong at the time when my second of three children was born. And he was born in a hurry. He came so fast that I actually thought I'd give birth in our car on the way to the hospital! Fortunately, that didn't happen and I safely delivered my son Patrick surrounded by a team of well-trained doctors and nurses, not to mention my loving (and relieved!) husband by my side. But I'm one of the lucky ones. As new research released today by Save the Children reveals, 40 million women give birth without any trained help whatsoever. What's more, 2 million women give birth entirely alone. I met one of those women in Nepal about five years ago. I was there visiting our programs in the south of the country and stopped in to see a mom who had given birth a month prior. She sat with us and talked quite matter-of-factly about how when she went into labor with her third child, she didn't panic. She merely laid down in a clean part of her house, caught the baby when she came out, cut the umbilical cord and wrapped her to keep her warm. When she had finished telling her story, and I had stopped shaking my head in amazement, I couldn't help but compare her experience to mine. After all, both of our children came into the world faster than we had anticipated. However, while my husband was there to drive me -- fast -- to a first-class hospital, this woman had no one. Her husband was away in India on business and her two daughters were in the next village. Even if she could manage to get herself to the nearest clinic, which was 2 kilometers away, she would have had to travel on foot. So she did the next best thing; she left it up to chance. Fortunately for this mom both she and her newborn survived. But for too many women in the same situation, the outcome is much more tragic. So many things can go wrong when a mother gives birth without a skilled birth attendant (SBA). Things such as prolonged labor, pre-eclampsia and infection -- which are perfectly manageable when an SBA is present -- can mean a death sentence in the absence of one. 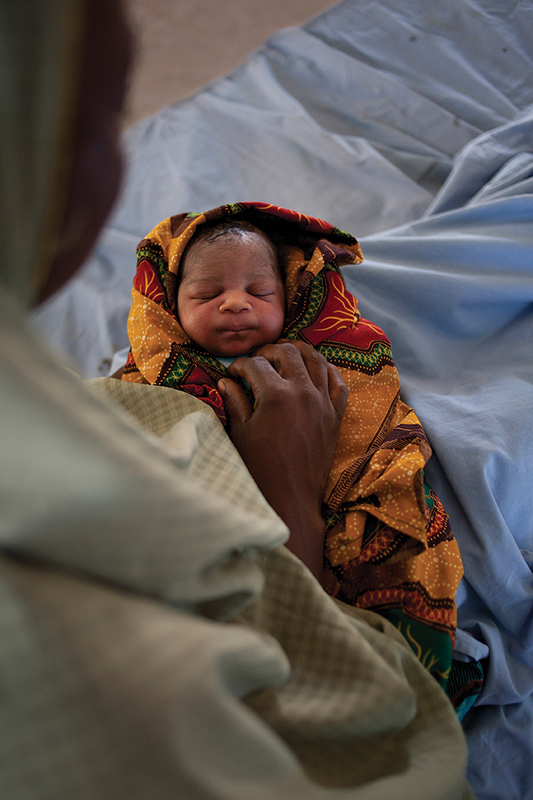 For this reason, Save the Children is calling on world leaders, philanthropists and the private sector to commit to ensuring that by 2025 every birth is attended by trained and equipped health workers who can deliver essential health interventions for both the mother and the newborn. Because no birth should be left up to chance.